Thickening Blow-Dry Lotion by L’Oréal Professionnel. This great product from L Oréal Professionnel’s tecni art range will create volume and give your hair natural movement. Volume Architect disappears after brushing and leaves no visible residue, allowing styles to be worked and reworked. Thicken and texturise the look of fine and delicate hair whilst protecting from the heat of blow-drying. 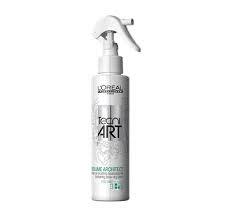 Buy L’oreal Professionnel Tecni.ART Volume Architect 150ml on-line today at Riah Hair.